Be the spark that ignites innovation. Create prosperity in our community that enhances lives. 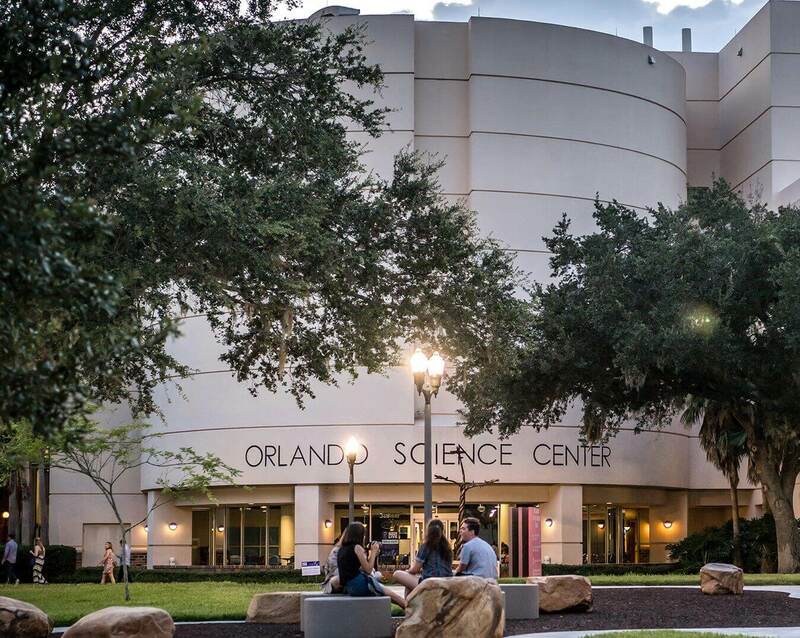 Orlando Science Center is Central Florida’s award-winning, hands-on science museum. For more than 60 years, our exhibits and programming have brought science to life for not just residents of Central Florida, but also visitors from around the world. 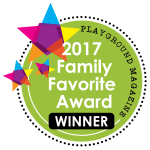 With four floors of interactive exhibit halls, labs and workshops, theaters, an observatory, and experiences that change with the seasons, there is always something exciting for our 670,000 annual visitors to see and do at Orlando Science Center. We also reach 153,000 students and educators each year through our STEM Discovery Center educational programs, both onsite at the Science Center and offsite at schools and community organizations. The Science Center was incorporated in 1955 as the Central Florida Museum and opened in Orlando Loch Haven Park in 1960. The existing facility opened in 1997 and has undergone numerous major renovations to keep content current and engaging. The American Camp Association is a community of camp professionals who, for over 100 years, have joined together to share knowledge and experience and to ensure the quality of camp programs. The African American Chamber of Commerce of Central Florida is a membership organization serving public, private, and not-for-profit African American-owned businesses and organizations in Brevard, Lake, Orange, Osceola, Seminole and Volusia counties. Established in 1945, the Chamber is a members-only network devoted to cultivating a thriving business environment for African American companies, an engaged public awareness for minority firms, and education and advocacy for both members and the Central Florida community. 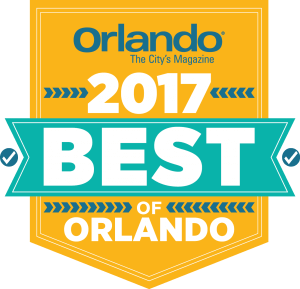 Orlando Science Center has achieved subsequent accreditation from the American Alliance of Museums (AAM), the highest national recognition for a museum. 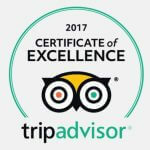 Accreditation signifies excellence to the museum community, to governments, funders, outside agencies, and to the museum-going public. The Association of Science-Technology Centers (ASTC) is a 501(c)3 nonprofit organization of science centers and museums dedicated to furthering public engagement with science among increasingly diverse audiences. ASTC encourages excellence and innovation in informal science learning by serving and linking its members worldwide and advancing their common goals. The Downtown Orlando Partnership (DOP) is a 501(c)(6) organization, founded in 1961. Membership is comprised of a wide variety of professionals from various industries who have businesses in and/or do business in Downtown Orlando. The mission of the Downtown Orlando Partnership is to enhance business and community relationships through collaborative events and initiatives. The Edyth Bush Institute for Philanthropy and Nonprofit Leadership strengthens nonprofit and philanthropic organizations through education and management support designed to strengthen board governance, enhance the business practices of nonprofit organizations, and expand the influence of the nonprofit sector. The Florida Association of Museums is the non-profit professional organization for Florida’s museums and museum professionals. The mission of the Association is to represent and address the needs of the museum community, enhancing the ability of museums to serve the public interest. Founded in 1918, the International Association of Amusement Parks and Attractions (IAAPA) is the largest international trade association for permanently situated amusement facilities worldwide. The organization represents more than 4,500 facility, supplier, and individual members from more than 97 countries. U.S. Green Building Council (USGBC) is committed to transforming how our buildings are designed, constructed and operated through LEED, or Leadership in Energy and Environmental Design. It is the most widely used green building rating system in the world. Available for virtually all building, community and home project types, LEED provides a framework to create healthy, highly efficient and cost-saving green buildings. LEED certification is a globally recognized symbol of sustainability achievement. Through their community network, continuous collaboration with industry experts, market research publications and LEED professional credentials, their global staff is working every day to help advance spaces that are brighter and healthier for us to live, work and play in. Mills 50 is a grass-roots, member-based organization made up of local business owners, residents and members of local government committed to making the Mills 50 District more pedestrian friendly and safer for traffic as well as to maintain its unique urban character and charm. The Orlando Economic Partnership is a new organization formed from the merger of the Central Florida Partnership and the Orlando Economic Development Commission. The Partnership works to provide the Orlando region with quality jobs, economic growth, broad-based prosperity and a sustainable quality of life. It is a not-for-profit, public/private partnership representing Central Florida’s seven counties – Brevard, Lake, Orange, Osceola, Polk, Seminole and Volusia – as well as the City of Orlando. The mission of the Seminole County Regional Chamber of Commerce is to serve the interest of their members and the business community by providing programs, services and leadership to enhance the economic vitality and quality of life in our community. The mission of the Winter Park Chamber of Commerce is to convene people and ideas to create value for members, support entrepreneurs in the community and extend a warm welcome to guests, both domestic and international, to Winter Park, Florida. The Tuskegee Airmen were the first African American military aviators in the United States armed forces. The Allies called these airmen “Red Tails” because of the distinctive crimson paint predominantly applied on the tail section of the unit’s aircraft. 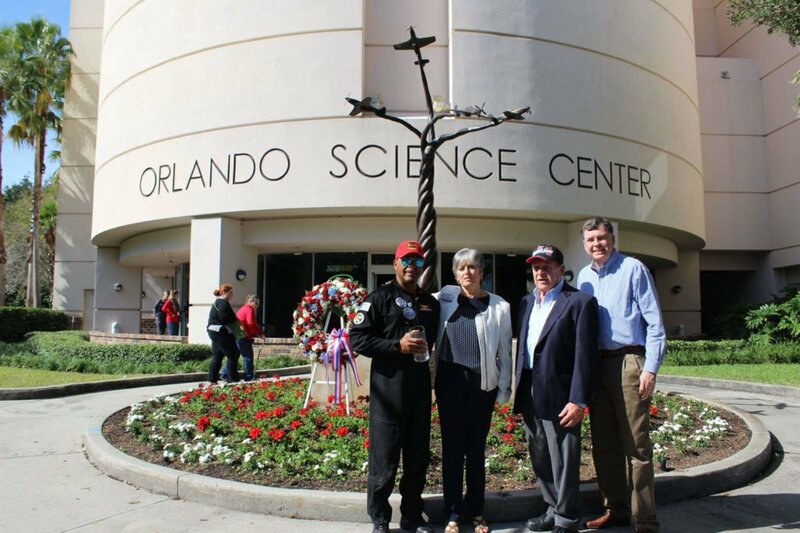 The Red Tails Monument stands outside of the Loch Haven Park entrance to Orlando Science Center and was the first national monument honoring the Red Tail Pilots of the Tuskegee Airmen. It offers the community a symbol of courage and triumph over adversity that will inspire future generations in their pursuit of academic success and careers in STEM fields, such as aviation.